In 2004. Oneco United Methodist Church commemorated its 125th year uniting in God's love and proclaiming Christ as our Lord and Savior. There are many wonderful reasons we celebrate our past and eagerly look forward to the future. Oneco Methodist Church was organized in 1879 and met in a one-room school located on the north side of Benedict Avenue, which is now called 53rd Avenue East. In 1902,the first church was built with 23 members, who were mostly women. property was sold to the Manatee District Board of Education where Oneco Elementary School is now located. The current sanctuary was built in 1954 and opened on New Year's Eve with a membership of 127. 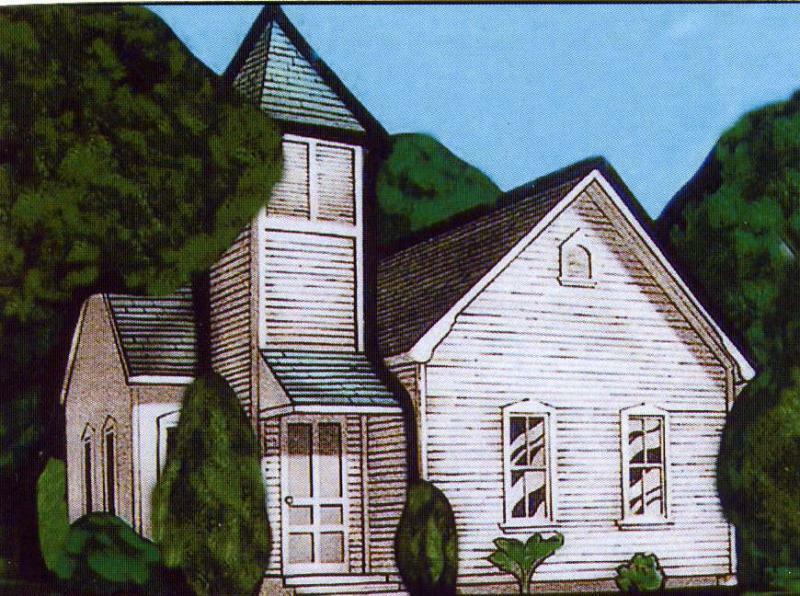 In the next few years, a parsonage,two educational buildings, and the fellowship hall were built. In 1976, the Memorial Bell Tower was built using the bell from the original church building. The bell was cast in Philadelphia, Pa. in 1902 and was purchased in 1904. In the 1980's new pews and carpeting were installed in the sanctuary and a grand homecoming was celebrated to honor our 105th year. A new parsonage was purchased and the former parsonage was turned into the current office facility. installed in the sanctuary. Eight stained glass sanctuary windows were added and the "Family Life" Wednesday suppers were initiated. In 2003, the church was offered the opportunity to buy the adjoining property on the southeast corner of the existing parking lot. After the purchase, church volunteers made numerous improvements and renovations to the home and landscaping of the property. The debt is quickly being paid off through donations to the Because I Care(BIC) Program. The home is now rented, which is another source of income to pay down the debt. In July 2004, Oneco United Methodist Church joined with sixteen other area churches in a mission called "Celebrate Jesus." Church volunteers accompanied members of a visiting mission team, stopping at hundreds of residences in a two-mile radius of our church. As they offered small gifts at each residence, mission team members listened to the needs and prayer concerns and offered outreach to those in need. A prayer team at the church prayed for the residents' concerns. The team members invited the residents to the Friday Night Block Party. The Block Party was held at the church on the dosing evening of the mission with approximately 800 Oneco neighbors, church friends, and members attending. As the church has continued to grow, our mission continues to serve and to meet the needs of people in the Oneco and neighboring communities. The church stands as a memorial to those who had the vision and then labored long and hard to make that vision a reality. We have been celebrating Christ in this community in three different centuries. In January 2005, we have 561 church members with 43 affiliate and 29 associate members.